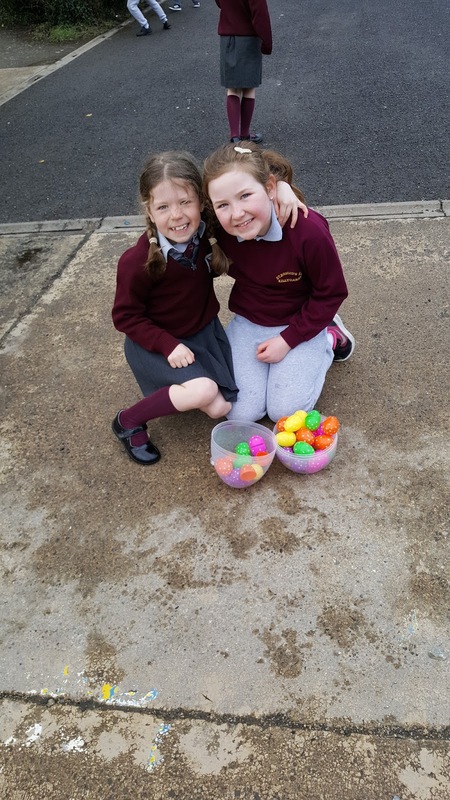 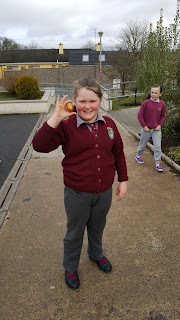 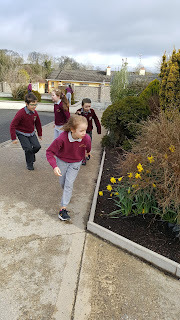 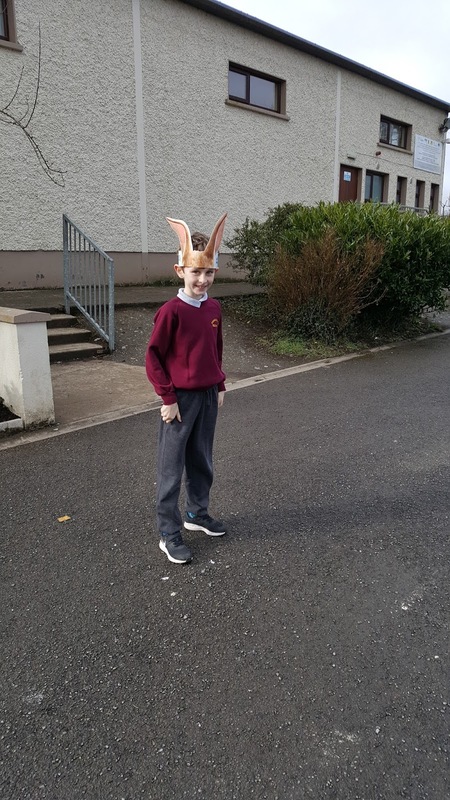 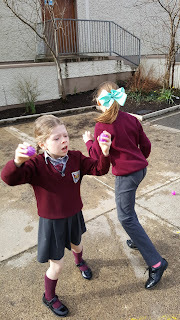 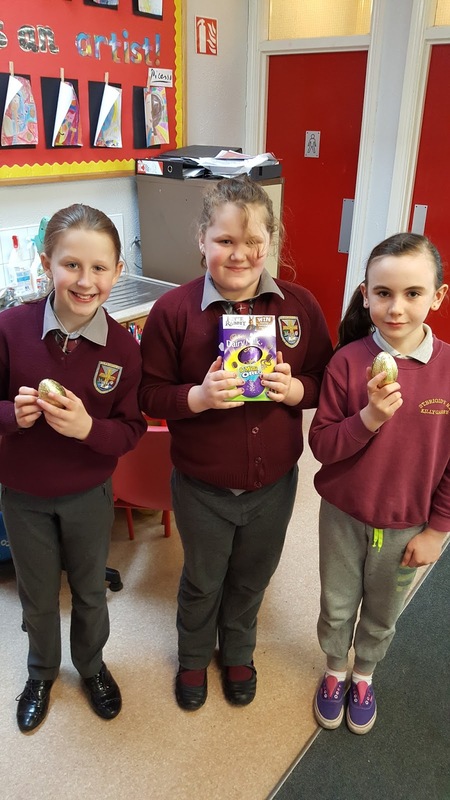 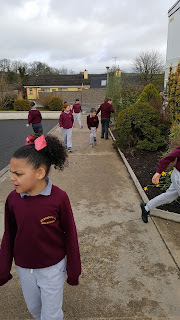 Second Class had an 'egg-cellent' time looking for Easter eggs all around the school yard. 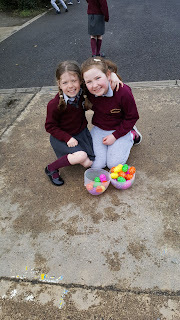 Some were very hard to find but they worked as a team and found all 40 eggs. 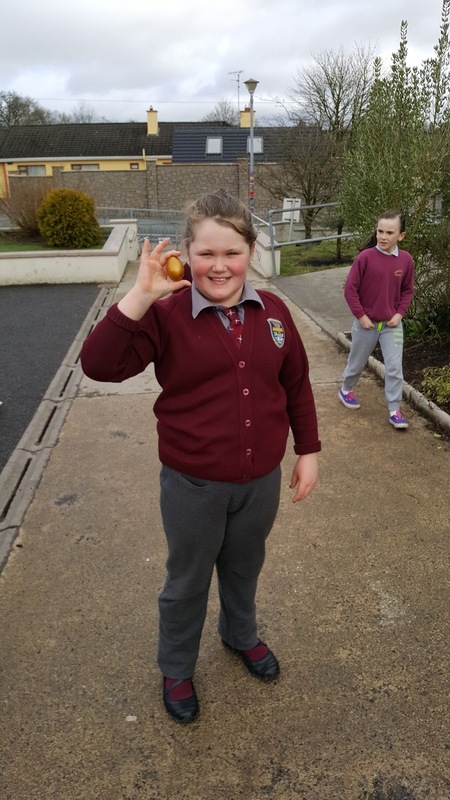 Well done to Danielle for finding the GOLDEN egg! 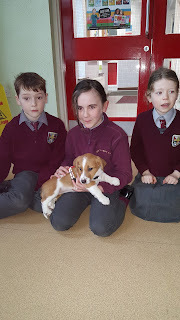 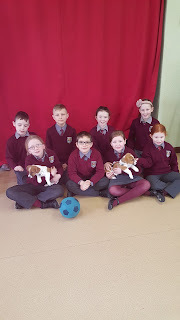 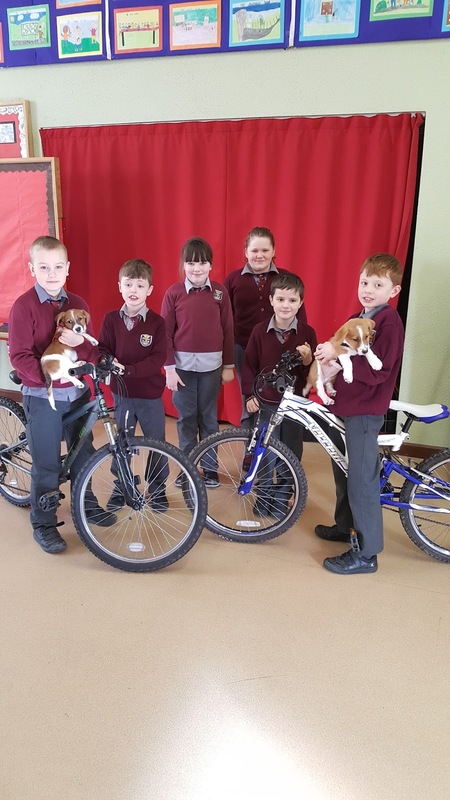 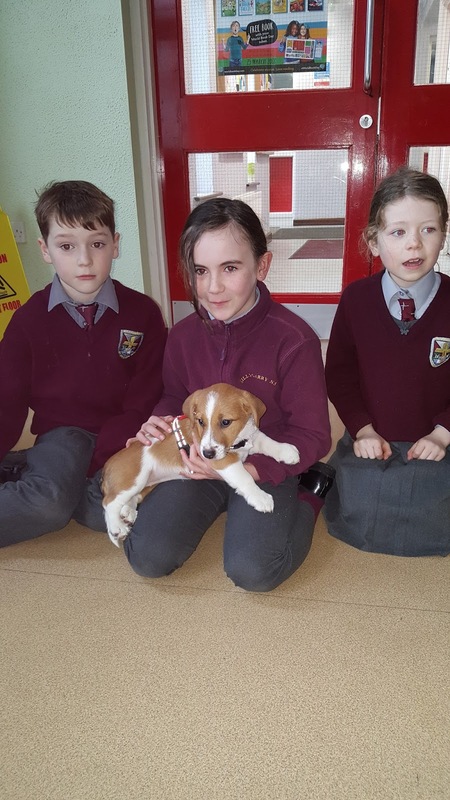 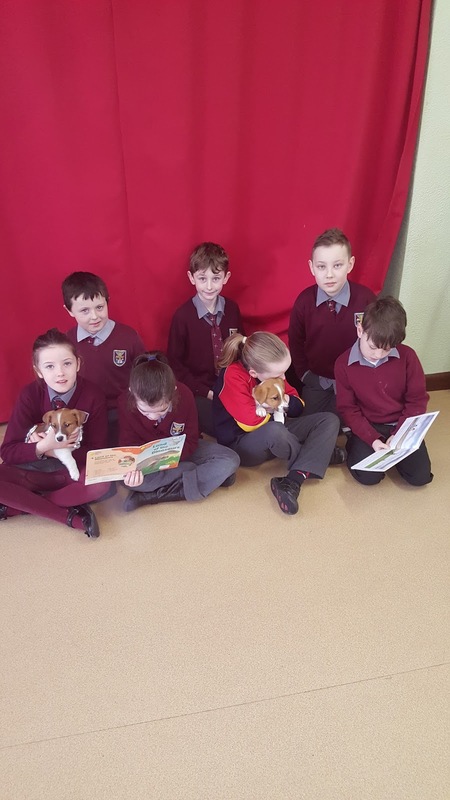 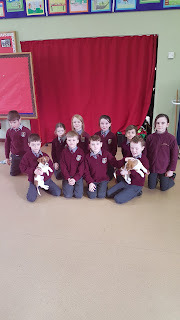 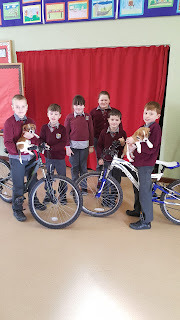 Second class have been learning how to look after their pets. 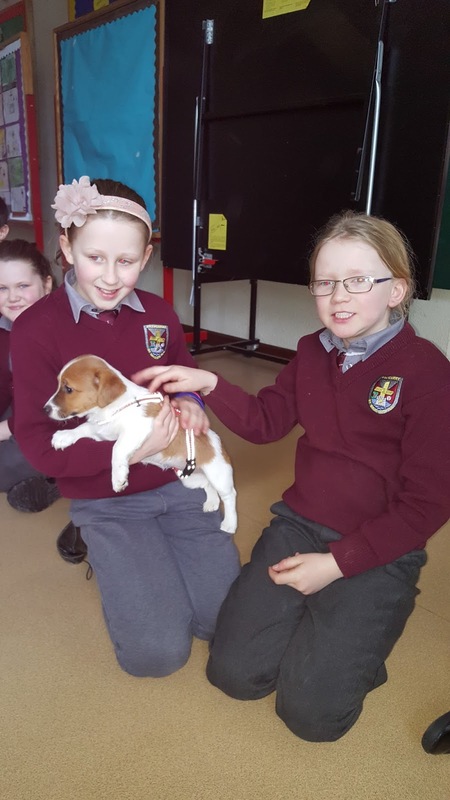 We were very lucky to get a surprise visit from two beautiful puppies, Holly and Willow. Here are some photos!